Soy was never supposed to be a food. Soy mimics estrogen. As a result, your cells cannot tell the difference between its own estrogen and what is introduced as extra. This is like doubling the dose. The beneficial soy plant used 2000 yrs ago by the Chinese was a useful variety. Today's variety is called SOYMAX, and besides soybean oil being extracted by solvents, there is a harmful chemical in Soy that cannot be extracted. America's main Soy industry went to the FDA to get what is called GRAS (G overnment R egarded As S afe). GRAS is a rating standard which backs certain products. GRAS greatly benefits many industries; mostly in propagandizing, and push for marketing their products. As always there is a catch. It does not mean the product is SAFE!! They did NOT get the FDA GRAS approval! Oftentimes lack of approval stems from the fact it costs up to $50 million dollars!! Our largest Soy Industry did not have the funding, never mind the actual safety of the product. 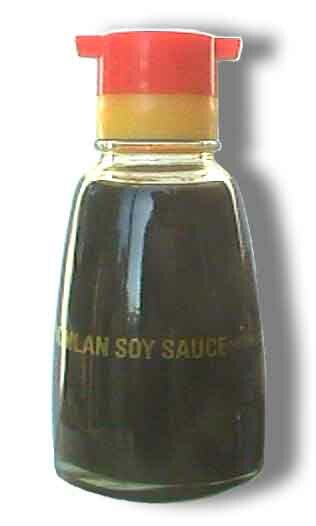 Soy can affect sexual orientation and premature hormonal development in young boys and girls, such as; effeminate boys, girls developing too early and so forth. Soy at an early age, such as infancy formulas, can introduce 10x excess estrogen to the body. This badly messes with natural development. There is no way to measure how much Soy (estrogen) in the body, and with the natural menopause production of estrogen, the body still produces on its own. It has also been linked to AD/HD and augmented hormonal ratification. Soy has a good protein in it, but also therein, a phytic acid chemical. There is a second 'OK' enzyme contained in Soy that helps to breakdown the protein which aids in proper digestion and absorption, BUT paradoxically, the phytic acid destroys the 'OK' enzyme!! Therefore, the protein ingredient doesnt digest. Soy readjusts the bodies natural hormone processes. It can also cause sterility in some mammals and other animal life forms, such as birds, rabbits and sheep. The human body NEEDS protein to function properly. So does our DNA!! Our DNA requires proteins; especially L-Carnatine which is ONLY found in red meats. Soy is being pushed on us more and more, and is also, in most PET FOOD PRODUCTS. Australian bird breeders have found that after feeding some birds with Soy Feed Products, some one thousand of them laid INFERTILE eggs. Many reproduction problems were also noted in raising rabbits and sheep. Tom Valentine is an excellent source in correct Biotech studies and product supplements, including recent updates on Soy. Hans Neiper entitled "The Soy Toxcin Team Story"
I am not advertising for him, although I use some of his excellent products, and also you can be proactive in your own choices. Ask about his low fee membership, products list and newsletter too!! Years ago when I was trading in the future’s and commodities market, I studied many of the commodities. In speaking of soy products and the problems with the phytoestrogens. This I have known for over 20 years from articles I have read from the Natural Hygientists (Dr. Herbert M. Shelton, etc.) and others. Another problem with soybeans is in the extraction process, which is known as the "solvent extract method." After the soybean or most oil bearing seeds in this country are ground into a mash, it is then injected with hexane gas. Under heat and pressure, this petroleum constituent works wonders by squeezing over 99% of the oil from the seed material. The problem is that some of this hexane residue remains behind. Hexane is a deadly poison. It attacks the liver, compromising ones immune system. Hexane, like benzene is a leading cause of cancer especially among petroleum and industrial workers. There was a case in England several years ago of a woman in her early 20's that died of stomach cancer. Her diet was vegetarian and one wonders why she got cancer. It was found that she consumed a lot of soy based foods. Most of it was made from soybean mash, which previously was treated with hexane to extract the oil. One must be careful of what you eat. Sadly the lady was not versed in nutrition. These corporate bastards are only interested in profits. I try to teach as many people as possible about nutrition, diet, lifestyle, etc. It does influence some people, but most are ignorant and may consider a change after a crisis of some type. The multinational corporations basically have the boys in Washington paid off. As Tacitus(c.55-c.130) said, "The more corrupt the state, the more numerous the laws." In an article I published on the Internet entitled "SUPER SIZE THIS AND DEFINITELY HOLD THE FRIES !! I also mentioned the garbage in grocery stores not being fit to eat. Another saying that came in from a Canadian housewife in the late '60's was quoted, "Our modern supermarkets could well be called mausoleums, where dead foods lie in state. The reason many of us have food allergies is because, our fruits and veggies are being brought in from other countries. Ei. South America. The consequences of this is OUR BEES FROM OUR OWN AREA, are NOT Pollenizing our own harvest’s! As speaking of the bees, the big problem is varroa mites, which get into the bee's trachea and they suffocate. Bees are also heavily-treated with antibiotics, thus weakening their immune systems. Yearly, hundreds of people have adverse reactions from antibiotic sensitivity. There have been deaths attributed to drug residues finding their way into honey. I was in Florida during the winter, and saw the large amounts of bees that die off from disease or succumb due to the stress of a wave of cold weather. Welcome to the New World Order!